Supreme Court has held that no witness examination is permissible, within the parameters of Sections 30 and 33 of the Arbitration Act, to prove a legal misconduct on the part of the arbitrator. Appeal filed by M/s Cochin Shipyard Ltd against the order of Single Judge of the High Court of Kerala granting liberty to the M/s Apeejay Shipping Ltd. to substantiate its objection preferred under Sections 30 and 33 of the Arbitration Act, 1940 by adducing evidence which would be considered within the ambit and scope of the aforesaid provision, was partly allowed by the Apex Court today. 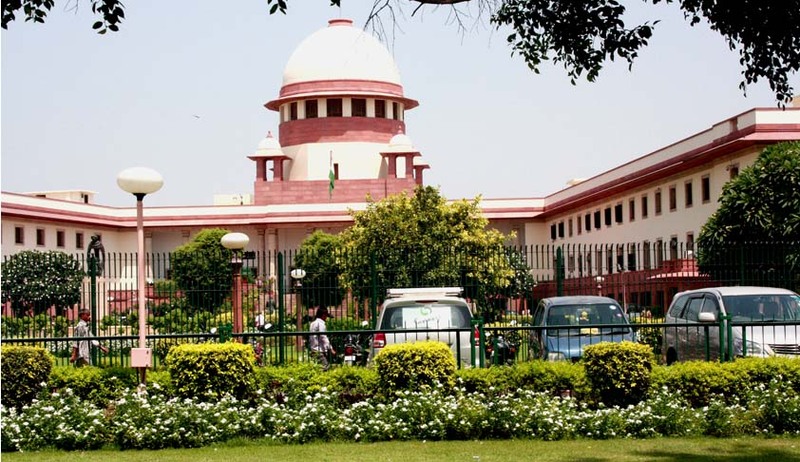 Apex Court bench of Justices Dipak Misra and Prafulla C. Pant was hearing an appeal filed Cochin Shipyard Ltd. Following a dispute between the two parties, an arbitrator was appointed, who after holding series of sittings passed an award on 15.07.2009. Apeejay Shipping Lt filed petition before the Sub-court under Sections 30 and 33 to set aside the award. During the pendency of this petition, an application was filed by Apeejay Shipping Ltd seeking permission to examine the learned arbitrator and the General Manager of the respondent as witnesses, which was rejected. A Writ petition was moved in Kerala High Court, which allowed the Apeejay Shipping Ltd the permission to examine the General Manager of the respondent as witnesses. Against this order by High Court, the Cochin Shipyard Ltd preferred appeal. The court held that legal misconduct of an arbitrator must be manifest or palpable from the proceedings before the same. The court also said that a person urging the ground of legal misconduct has to satisfy the court from the records of the arbitral proceedings that there has been a legal misconduct on the part of the arbitrator as a consequence of which the award gets vitiated and the question of adducing any kind of oral evidence to substantiate the plea or stand or stance does not arise. It has to be shown from the proceedings carried on before the arbitrator and the evidence adduced before the arbitrator and evidence cannot be adduced in court to substantiate the challenge on the score of legal misconduct, the court held. However, the court granted liberty to the respondent to advance its arguments for pressing the factum of misconduct from the said records, before the court.